I'm excited to share with you another before and after. 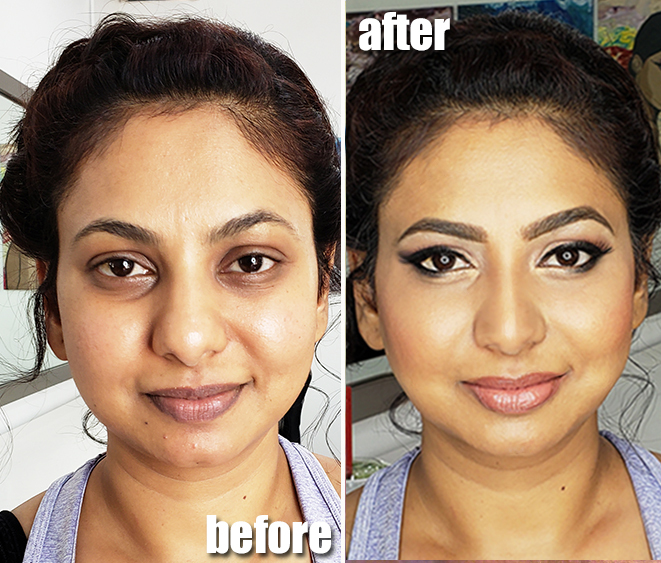 My client came to me to have her makeup done for her son's first birthday party. In the Indian culture, they go all out for this celebration and she was having a lavish boat party and came to me for her makeup. 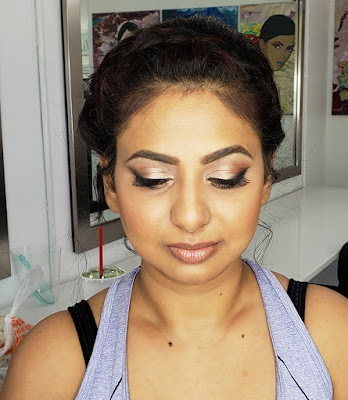 I focused on a soft and pretty daytime glam. Check it out! She would spent a lot of time in the hot sun, so I wanted to keep her skin really fresh and light. The key is to focus on correcting the discoloration around her eyes and to keep the foundation light everywhere else. On her eyes I went for a very soft smokey look - almost a bridal makeup. We kept her cheeks and lips peachy pink to keep the look nice and fresh.